In this video, we teach you how to efficiently and effectively collect a ton of coupons. Method 1: Buy as many newspapers as possible. Collect the inserts inside. Recycle newspapers. Method 2: Buy 1 newspaper and ask the deli/grocery/bodega/newstand owner/employee if they are going to throw away any newspapers that night. It’s best to buy your newspapers at night since they will be more inclined to let you have it. During the day it’s still possible that they can make a sale. So spend your efforts in asking at night at the many 24/7 places. (or the ones that close really late). Method: 3: Do your best to establish a relationship with the deli/grocery/bodega/newstand owner/employee. They may be your ticket to a plethora of coupons. Be friendly and just ask how they are. Don’t be afraid to ask questions. Don’t be afraid to establish rapport. The worst they can say is “no”. And you lose nothing with asking. Here’s a tip if you’re shy, like I was. I thought of it as helping them get rid of their old newspapers. I was doing them a service and a favor. If they said no, it was because they want to throw them out themselves. It’s ok to be you and show your personality. Couponing is about enjoying the fact that you can keep your wallet a little thicker. Happy Hunting! 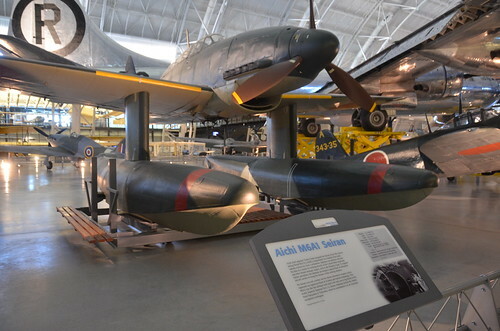 Aichi chief engineer, Toshio Ozaki, designed the M6A1 Seiran to fulfill the requirement for a bomber that could operate exclusively from a submarine. Japanese war planners devised the idea as a means for striking directly at the United States mainland and other important strategic targets, like the Panama Canal, that lay thousands of kilometers from Japan. To support Seiran operations, the Japanese developed a fleet of submarine aircraft carriers to bring the aircraft within striking distance. No Seiran ever saw combat, but the Seiran/submarine weapons system represents an ingenious blend of aviation and marine technology. This M6A1 was the last airframe built (serial number 28) and the only surviving example of the Seiran in the world. Imperial Japanese Navy Lt. Kazuo Akatsuka ferried this Seiran from Fukuyama to Yokosuka where he surrendered it to an American occupation contingent. Wings rotated back, folded back to lie flat against the fuselage. 2/3 of each side of the horizontal stabilizer also folded down, likewise the tip of the vertical stabilizer. Understanding Global Health is the groundbreaking, go-to primer that puts global health and its many challenges into sharp focus like no other text. Written with the nonspecialist in mind, this powerful resource expertly reviews all the core topics that you must know in order to thrive in this decentralized new global health environment. It’s all here: unique, authoritative coverage of public health concepts, plus insights into infectious diseases and clinical medicine-everything you need to truly comprehend how global medicine is dramatically affecting today’s practice of medicine-and to prepare for your role in it. Question by Christopher D: Quick, Easy, Healthy Dinners? I’m fifteen, turning sixteen in a few months, and I’m trying to lose weight. I’m trying to find a dinner that I can make by myself after school, that’s fairly easy to make, and isn’t bad for me, and has some nutritional value to it. 2eggs (take out one yolk(high calories)), whole wheat toast, 1 apple. later on if you’re hungry, just eat fruit. You can hover over the above photo for links to the presentations that are available online. 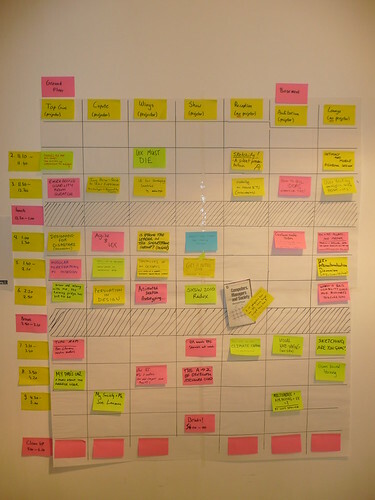 Some presentations that were supposed to take place at UXCampLondon didn’t happen and aren’t on the grid. The reasons included volcanic ash and ill health, but you can still check out the presentations on slideshare. How UXD Will Solve Climate Change by ? Tips on saving and budgeting for a stay at home mom? Question by SavvyGrl: Tips on saving and budgeting for a stay at home mom? I really want to stay at home when my baby is born. Money is going to be so tight. Any stay at home moms have advise on how they save and budget to make it possible to live on one income? What are some healthy options to get a fit body? Question by Notorious P: What are some healthy options to get a fit body? I’ve been trying to stay healthy and go to the gym 4-5 a week. I’m a skinny kid and have a beer belly. I’ve done a lot of crunches. I want to eat healthy but I HATE fruits AND vegetables. What are some healthy alternatives to them? Any suggestions on how to see better results?